Garden crafts with kids will make a useful utility of your idle time. Have you ever imagined of a wreath of nuts. You can personalize your creative collection with a handmade wreath of garden items, which can also be said wreath of nuts. Nuts are quite a favorite of the old and young ones and easily available. Read the steps and make a surprise decoration of handmade wreath at any corner of your room. Paint all the collected nuts with varnish and keep them on a wire rack so that it can dry. Stick the bigger nuts to one another and try to make a garland. Start with bigger nuts like walnuts, chestnuts, and Brazil nuts and put the smaller filberts and almonds between them. By using glue gun install the leaves and green materials within the nuts. To hang the wreath, attach a loop of wire at the back. Make the ribbon into bow and attach it to the garden wreath by glue or wire. Those plants which are classed as annuals complete their life cycle within the time span of a year. These plants are extremely useful in gardens. They are vital requirements of the garden in summer and autumn months to adore the garden. They not only adore the garden with their beautiful colors and vibrant appeal but are also useful in adding herbaceous border in garden. These plants are the life of your garden once the spring blooms are passed and perennials become quiescent in mid summer. These pants are also a good option in window boxes and porch boxes, for potted plants, for terrace gardening, for window gardening for winter bloom in the small greenhouse. The annual flowers can be divided into three basic categories- hardy, half-hardy and tender annuals. Hardy annuals are the annual plants which bloom in winter. They are sowed in the fall or during the spring season. 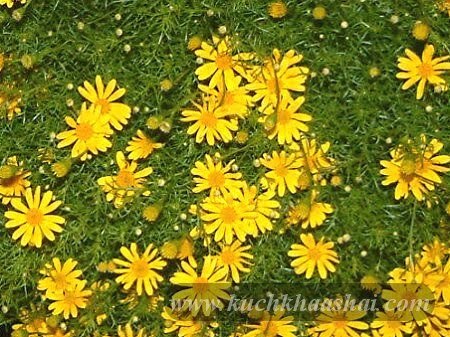 Though these flowers are not heat tolerant and can't survive in scorching heat, they give a pleasant look to garden in winter. Some of the hardy annual flowers are calendula, cornflower, foxglove, larkspur, pansy, sweet alyssum, stocks, viola, and many dianthus cultivars. Half-hardy annuals are those plants which require damp cold weather to flourish but can't survive cold frost. They can be sown after the last spring frost as they need not get warm soil to germinate. Some of the half hardy annual flowers are Baby's breath, bells of Ireland, blue sage, candytuft, celome, forget-me-nots, love-in-a-mist, snow-on-the-mountain, strawflower, and torenia. Some half hardy flowers are sometimes sown in summer and end by the end of season. Tender annuals are comfortable growing in the warm regions and can't tolerate cold weather. If sown in a cold climate soil, there is much probability that it will rot. Ideally you should sow it after three weeks of the spring frost. Some of the tender annuals are ageratum, balsam, begonia, celosia, coleus, globe amaranth, impatiens, marigold, morning glory, nasturtium, nicotiana, petunia, scarlet sage, verbena, vinca, and zinnia. There are four basic things that should be kept in concern while growing annual flowers. Make sure you know the requirement of sunshine of your annual plant. Some plants grow best in full sunlight while some prefer shade. Some annual plants like impatiens grow well in moist soil while others prefer a little dry or normal soil like geraniums. 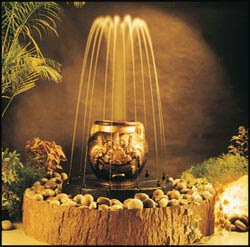 Make sure you know the water requirements of your plant so that you can irrigate them properly. Some annual flowers prefer rich loamy soils and others do best in sandy well-drained spots. In order to make your annual flower bloom at its best, find out the ideal soil for the annual flower plant you are going to sow. Though most of the annual plants require low maintenance, you must know about the basic necessities and special needs of your plant. Some plants require "dead-heading", so it is good to keep trimming them. While a lawn adds to the beauty of your house, weeds can be a big nuisance. Apart from interfering with the growth of garden plants, they also rob the soil of its rich nutrients. 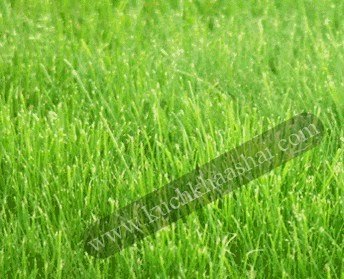 This makes it utmost necessary for you to take due care and ensure that weeds do not get a chance to grow in your lawn. In case they manage to sneak into your lawn, even after the protective measures, you should get rid of them as soon as possible, trying to stick to the natural methods and avoiding the chemical-based products. In order to help you out, we have listed a number of methods to kill weeds, in the following lines. Though most of the people are unaware of it, using mulch is one of the best and safest methods of killing the weeds in your lawn. It has been seen that covering the garden soil with mulch, up to 2-3 inches, blocks weeds. For the purpose, you can make use of shredded bark, wood chips, straw, cocoa bean hulls, gravel and rocks. Apart from killing the weeds, mulch will also help the soil retain moisture, thus reducing the frequency of watering. It has been seen that just like humans, weeds are also averse to boiling water. In fact, exposing the weeds to boiling water helps a great deal in killing them. Along with that, you will also be able to rid your lawn of weed seeds. So, go ahead and pour boiling water on the roots of the weeds. The only drawback of this method is that it may require several applications. Using soap on the weeds cleans them thoroughly, in other words makes your lawn free of them. For the purpose, you need to put one quart (4 cups) of water in a bowl and add 5 tablespoons of liquid soap (such as dishwashing liquid). Now, mix it thoroughly and pour into a spray bottle. Coasting the weeds with this solution will help get rid of them, especially on a hot day. Just like food items, vinegar can also prevent your lawn from spoiling, by getting rid of the weeds present therein. All you have to do is take a spray bottle and fill it with vinegar. Now, go ahead and spray the preservative on the weeds (only). It will burn the weeds in no time, especially on a hot summer day. In case you want something more potent, go for pickling vinegar. Alcohol serves as another remedy for the weeds in your lawn, smothering them to death. For the purpose, you need to put one quart (4 cups) of water in a bowl and add one to five tablespoons of alcohol, depending upon the stubbornness of the weeds. Spray the weeds with the solution, making sure to keep it away from the garden plants. In case you want to try another method of killing the weeds in your lawn, rock salt will be the best bet. You can get large areas of weeds (and even plants) by putting rock salt on them. However, do make sure that there are no garden plants in close proximity of the weeds. This is because the salt spreads when it rains, harming the plants in the vicinity, if any.